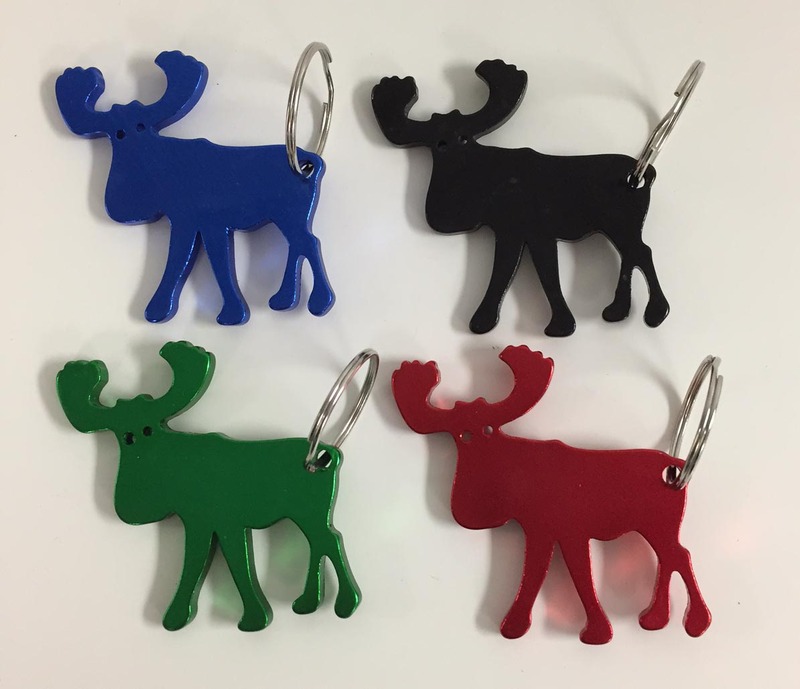 Our moose bottle opener is available in 4 assorted colors: BLUE, RED, BLACK, and GREEN. 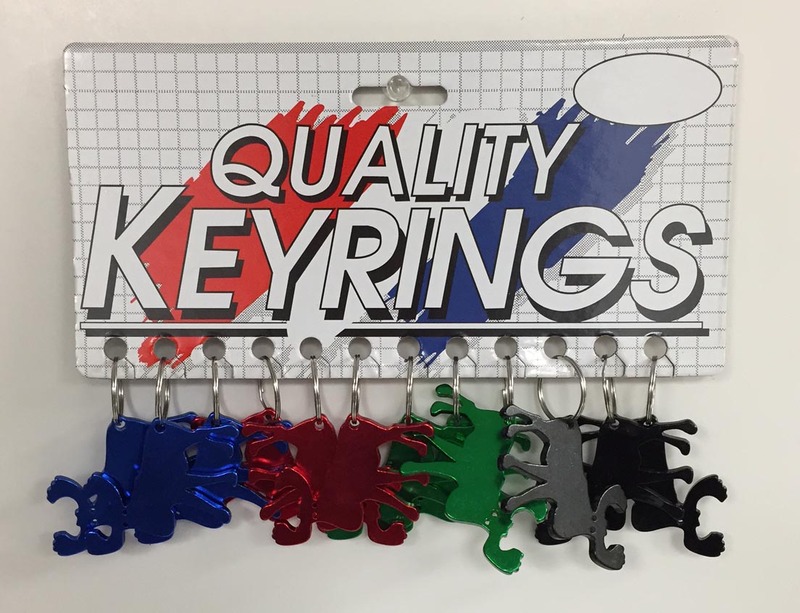 They measure approximately 1 3/4" X 2". Packaging is 12/Card.